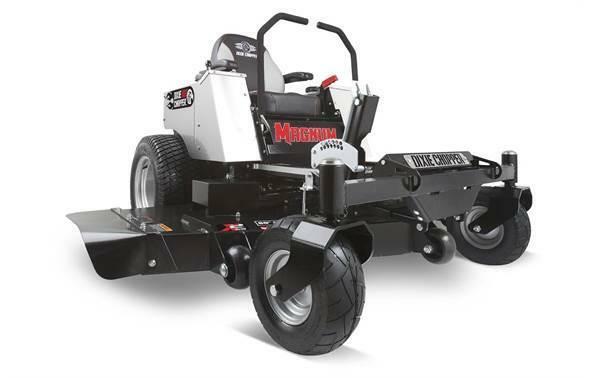 - High Horsepower - A 23 horsepower engine from Briggs & StrattonÂ®, KawasakiÂ®, or KohlerÂ® to power you at up to 3.1 acres per hour. 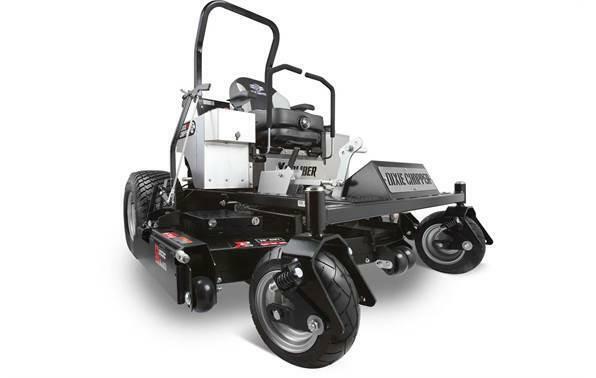 - Elite Cutting System - Offered in three cutting widths (42", 48", and 54"), Elite decks easily process large volumes of grass and provide a more attractive after-cut appearance. - 7-Stage Deck Height - Allows you to quickly and easily adjust mowing height for different applications. - Hydro-GearÂ® Transaxles - Proven and reliable transmissions with an external oil filter for easier maintenance and extended system life. - Quick-Lift Lock - Allows you to quickly raise the deck to avoid objects and locks the deck in travel height for transporting and storing. - Motorcycle Tires - Low profile tires with motorcycle tread provide smoother caster turns. 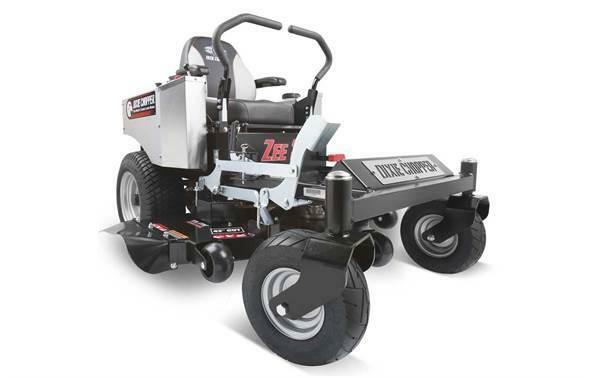 Blades: 3 - 17.25" x 2.5"
Overall width (with chute): 57.5"